Eurocancer Stemcell Training is a network gathering 9 laboratories of 6 member states at the highest level of cancer stem cell research. EuroCSC training offers the opportunity to young researchers to join an excellent training platform in this new area of Cancer Research. An Early Stage Researcher fellowship position is available for a period of three years, tenable at Oxford University on a project entitled “Cellular origin and molecular determinants of leukemic stem cells”. The position will be based in the laboratory of Professor Sten Eirik Jacobsen and funded by the European Uni0n Research Framework Programme/Marie Curie Actions. This is part of an International Training Network whose central theme is called `Eurocancer Stemcell Training`. This project will use mouse models to establish the cellular and molecular basis of collaboration between different classes of mutations in preleukemic and leukemic stem cells. Mutations will be targeted to different stages of hematopoietic stem and progenitor cells in mouse models, to investigate how different primary target cell populations impact on the cellular and molecular properties, as well as therapeutic responsiveness of leukemic stem cells. The Fellow will work in the excellent research environment of the Weatherall Institute of Molecular Medicine visit Official Website. at Oxford. The Jacobsen lab visit Official Website. comprises approximately 15 members, who study the cellular and molecular mechanisms that regulate normal white blood cell differentiation from hematopoietic stem cells, and their dysregulation in hematological malignancies. Candidates will be registered for PhD training while employed by the University on a Marie Curie Initial Training Network. Candidates will be registered for PhD training while employed by the University on a Marie Curie Initial Training Network. Candidates must have, or be expected to obtain by August/September 2011, at least as a minimum, an Upper Second class Honours degree, or equivalent in a relevant area. An interest in cancer and stem cell biology and hematopoiesis will be essential. Applicants must have less than 4 years of full-time equivalent research experience. An interest in cancer and stem cell biology and hematopoiesis will be essential. Applicants must have less than 4 years of full-time equivalent research experience. The EC funding for this position provides a salary based on a Euro amount of €46,000 p.a. which equates to £36,800 p.a. (depending on employer deductions which will vary according to exchange rate). A mobility allowance (to cover expenses associated with working in a different country), a travel allowance and a career exploratory allowance will also be available. Under the terms of the EC funding, which aims to promote mobility within the research community, to be eligible for the post you must not have been resident in the UK for more than 12 months in the past three years. Candidates should apply using the online forms and guidance at Official Website. 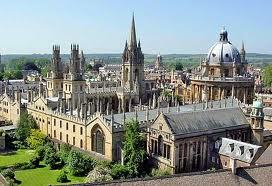 The Course is “DPhil in Clinical Laboratory Sciences”, code 001790. Please quote ref number H811020. Further information for the post can be obtained from Official Website. Demikianlah informasi Scholarships Fellowship in Cancer Stem Cell Research at University of Oxford kami sampaikan, semoga bermanfaat.